Nelson Photo stocks both Nikon and Canon cameras and lenses, including Tokina and Tamron brands. They offer APA members a 10% discount on all rentals. Must have APA current membership card. APA members receive a 10% discount on camera accessories, including bags, filters, tripods and lighting. Discount does not include cameras, lenses and lighting kits. APA members receive volume-printing discounts. APASD Members get 40% of any and all products. Must create an account at 4by6.com before placing order. Use Code: APASD40. Offer expires January 1, 2020. Contact Kevin@4by6.com with any questions. 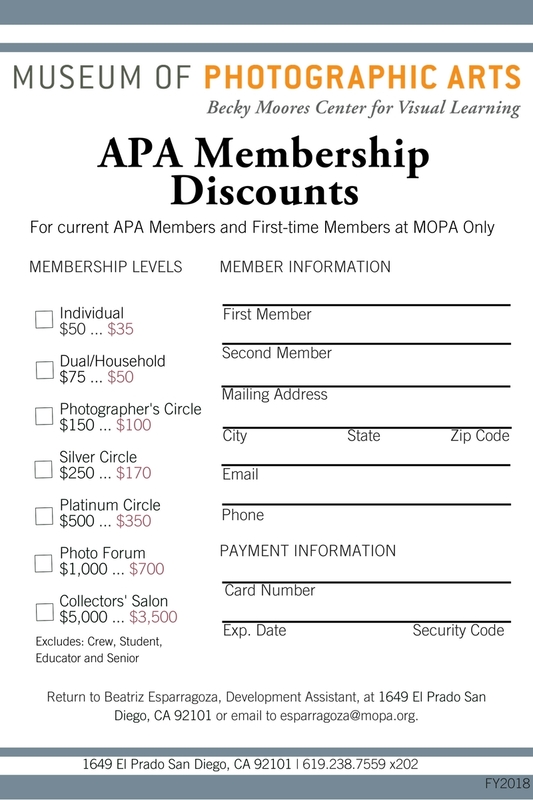 View or Check out this special offer from MOPA for new and current APA members. Dripbook is a portfolio site. Not only does Dripbook promote your portfolios to those who could potentially hire you, they also offer custom HTML5 websites, social media posting tools, and display applications for smartphones and tablets. All APA members qualify for 20% off Dripbook, giving you the searchable portfolio, social media tools, and display applications for as low as $8/month, with the option to include your own custom website for just $19/month. There is a 30-Day Free Trial on all accounts, so make sure to give them a try! Yodelist is a proven marketing platform that streamlines your marketing efforts for success! They offer over 60,000 creative contacts that hire you plus the most advanced emailing system in the industry with interactive HTML templates. Their efforts allow you to stay in front of the people you want to work with! All APA members always receive a 20% discount off our services. Contact Will Daniels, will.daniels@yodelist.com and get started today! Receive a free gift when you purchase at least $50 of gear, free ground shipping, and the best customer service in the industry. Plus ThinkTank will donate a percentage of their sales to APA | SD! All you have to do is use this link and start shopping. Your cart will automatically offer you a choice of a free gift! Use discount code of: APASD25 on Litra.com for 25% off, AND FREE shipping if checkout is over $50!